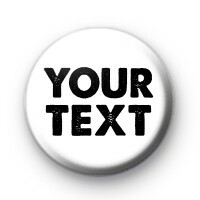 A custom black and white text badge. Enter any nickname or name in the box below & click add to cart to make custom name badges. Do this as many times as you like to make custom name badges for your entire wedding party.